Fall sunsets are the best sunsets. Has it really been nearly two months since I did a Sunday Snapshot?? Yikes! I didn't realize it'd been so long. The Chocolate Rose by Laura Florand: Part of a reread with Kim and Kelly. Back in Society by Marion Chesney: The final book in the Poor Relations series. An article on Edgar Allan Poe's The Gold-Bug and how he basically jump-started modern cryptography. Based on the trailers, I was honestly expecting this movie to be a trainwreck (har har). But it actually was pretty good! 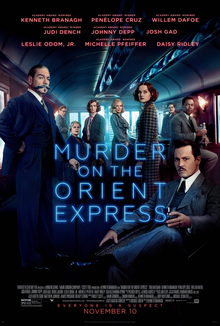 I mean, it was too long, and I wish the filmmakers had spent more time developing the suspects' characters and less time showing Poirot mooning over "ma belle Katherina," or whatever her name was. But it looked freaking fantastic (65mm film, baby), and you could tell the whole cast was having a blast. Overall a pretty solid entry in TMOTOE adaptations. Better than the Alfred Molina one, that's for sure. 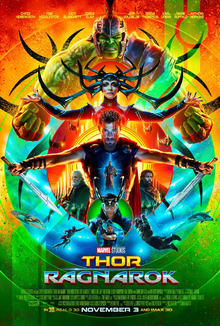 The Thor movies are pretty much the only Marvel movies that don't put me to sleep, so I was super excited about Thor Ragnarok. And it tooooooootally lived up to the awesomesauce of the trailers. Super entertaining, funny, I got choked up with the whole Oden thing... Plus there are some CRAZY cameos in this movie. My favorite scene is still the play Loki put on about his "death," where Luke Hemsworth played Thor and Matt Damon played Loki. I approve of this franchise. 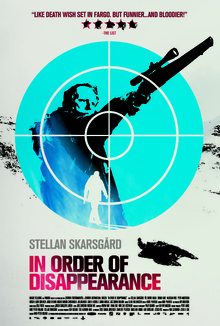 Just imagine Wallander crossed with a Quentin Tarantino movie. It was definitely worth the watch! I know I've watched other movies than just these three in the last few weeks, but I'm having trouble remembering what they were. Maybe I should start taking notes or something. Sorry I've been off the radar for so long. I've basically been consumed with planning a trip to Paris in April. Which I know seeeems like a long ways away, but I like being prepared. I've also been writing more recently (not on here, obviously) and using my weekends to focus on that. Are you all ready for Thanksgiving? I have all the sides planned, as well as a day-by-day plan for the next four days. I'm hoping I get a chance to write up a more detailed schedule for the day of. YES, I AM THAT PERSON. I'm planning to follow America's Test Kitchen recipe for Thanksgiving turkey and gravy. Plus we'll have green bean casserole–I've been craving it of late–stuffing, a carrot salad, and dumplings. This is the first year I've taken the lead on Thanksgiving dinner so I want to make sure everything turns out edible. At the very least. I hope you all have a lovely, cozy week! Let me know what you're excited about for Thanksgiving if you're celebrating it.